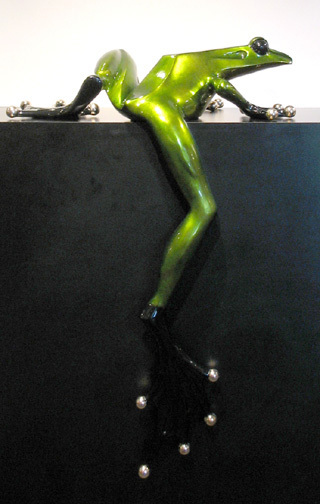 Make a large frog statement with this beautiful Tim Cotterill sculpture! Beautiful silver nitrate metallic green patina with a golden belly! Elegant sculpture.